Apple has launched iPhone 6 with rogers and it comes with iOS8. I6 have a 4.7" IPS touch screen display, and having a resolution 750 x 1334 pixels, retina display pixel density figure of 326 ppi that delivers very high quality results while reproducing colors even with Scratch-resistant glass. It has a 8MP back Camera, 1.2 MP front facing camera and built-in high performance lithiunm-ion battery which provides up to 14 hours of talk time. You can permanently unlock this device and enjoy with any gsm network. How to Factory unlock Rogers Canada iPhone 6 through iTunes, so that you can use it with any GSM carrier. We 100% guarantee that your iPhone will be Factory Unlocked status in apple database for lifetime. 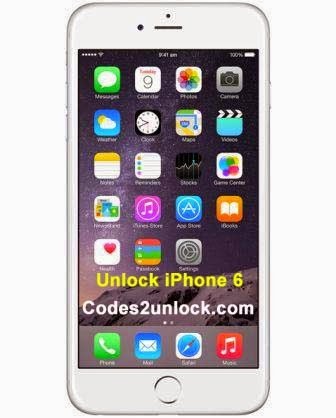 Codes2unlock.com is proud to announce that we are the direct source for Unlocking iPhone 6 locked to Rogers Canada. We provide a fast, easy and secure way to unlock with 100% LOWEST PRICE GUARANTEED. After unlocking you can use it with any gsm network.